Traveling with friends from camp adds another dimension of fun to summer. 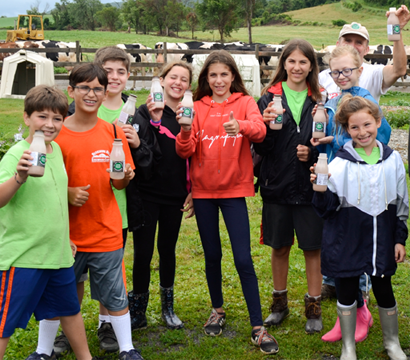 Berkshire Hills is surrounded by numerous culinary destinations for our campers to explore. Many of the Northeast’s most prominent farms and food producers are right in our backyard. 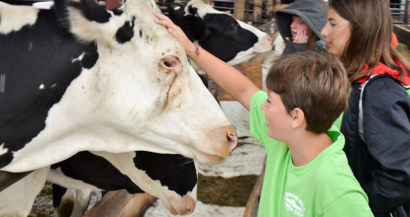 Campers will take once week culinary trips to learn about food at its source, and then return to camp to cook with the supplies and inspiration they bring back. Named by Bon Appetit one the top bakeries in the U.S., traditional techniques rule the baking process and so most bread is naturally leavened with sourdough fermentation and hand shaped. After we visit Berkshire Mountain Bakery, we will try our hand at this style of baking. Hawthorne Valley Farm is a 900-acre Biodynamic farm in upstate New York that produces artisanal foods in their onsite creamery, bakery, and fermentation kitchen. The farm is also USDA certified organic and Animal Welfare Approved. Our tour will give us a close look and many tastes of their work, and send us home with some fresh ingredients to use right away. 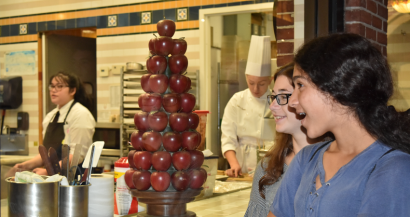 The Culinary Institute’s Hyde Park campus has been training professional chefs for decades. We will tour the CIA campus to learn more about Culinary training and sample some of the CIA students work at one of their many restaurants. Love Apple will be an adventure in picking. Lovely apple, peach, plum and cherry trees spread over the rolling hills of the orchard. All the fruit we bring back to camp will become multiple creations in our Culinary Studios. The folks at SoCo have a great tour in store for us that will teach us about artisanal ice cream production and spark everyone’s imagination before we head back to create our own ice cream flavors. Thompson-Finch Farm specializes in growing certified organic strawberries and is right up the road from Camp. We will visit the farm in preparation for our Great Strawberry Cook-off. Copyright © Berkshire Hills Eisenberg Camp. All rights reserved. Website by 829 Studios.